Did Bill Belichick really think Flip Flops were a good idea for the 2018 HOF ceremony? 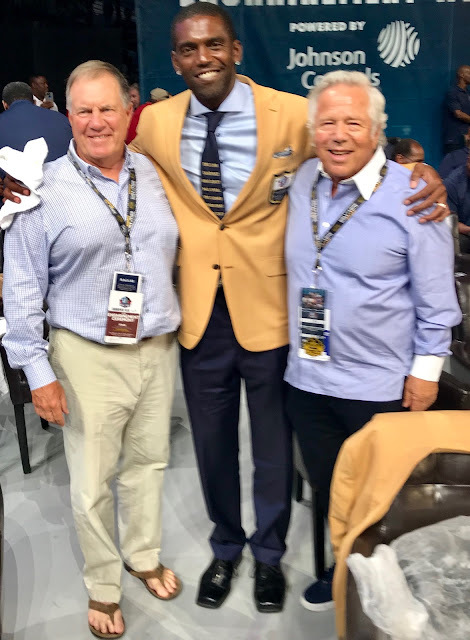 Bill Belichick had his photo taken with Randy Moss and Robert Kraft after Moss' Hall of Fame induction ceremony in Canton, Ohio, this weekend. Naturally all eyes were on the 2018 class as they are congratulated on a life-long dream and one of the hardest accomplishments in their sport but Belichick stole the show with his choice of shoes.